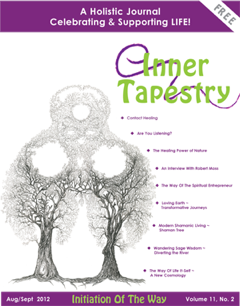 I am very excited that an article I wrote on ECOTHERAPY has been published in the August/September issue of Inner Tapestry Journal. Click here to see the whole article. Free printed copies of the magazine can be found at various locations in the area, such as It’s Only Natural Market.